According to Senator Tillis (R-NC), the Senate Judiciary Committee may consider marijuana reform during the 2018 session. As a strong advocate of cannabis reform I recently took part in a campaign by NORML to educate lawmakers about two bills, H.R.1227-Ending Federal Marijuana Prohibition Act of 2017 and S.1689-Marijuana Justice Act of 2017. I used NORML’s form letter and appended it with some personal information (something that I recommend to anyone who participates in an email/ online legislative campaign.) One of my Senators, Thom Tillis (R-NC), responded. In his response, which was bereft of any indication that he has an understanding of cannabis with respect to health, business, legal, etc., he indicated that cannabis reform may come before the Senate Judiciary Committee in 2018. I decided to take the opportunity to write an open letter to him and all members of the Committee. My letter, along with Mr. Tillis’ letter, are below. They can also be read here at the Cannabis Law Report. If you feel strongly about cannabis reform then I urge you to reach out to your Congressional representatives. Here is my letter. Mr. Tillis’ letter is the last page of the downloadable PDF version. Re: Marijuana reform- An open letter to Senator Tillis and the other Members of the Judiciary Committee. I am writing to you about marijuana reform in response to an email I received from Senator Tillis, a copy of which is enclosed. In addition to Mr. Tillis, this letter is directed to members of the Judiciary Committee (Committee) because Mr. Tillis indicated the Committee will likely discuss marijuana legalization during the 2018 session of Congress. Mr. Tillis’ email was a response to me about a campaign by the National Organization for the Reform of Marijuana Laws (NORML) regarding H.R.1227-Ending Federal Marijuana Prohibition Act of 2017 and S.1689-Marijuana Justice Act of 2017 (collectively “Acts”), in which I participated. In addition to the detailed information provided by NORML for participants in the campaign to pass along to their elected officials, I included a brief introductory paragraph about myself and my reasons for encouraging Mr. Tillis (and my other Congressional Representatives) to support the Acts. I am a North Carolina resident and constituent of Mr. Tillis. Additionally, I am a husband, father, and attorney. My law practice focuses on representing businesses in the cannabis industry, which includes both federally legal hemp and associated products such as cannabidiol (CBD), and businesses operating lawfully under their states’ respective medical and adult use programs. I am a cancer survivor who successfully used marijuana to alleviate the nausea, pain, loss of appetite, and sleeplessness I experienced during chemotherapy. Although I am an attorney advocate for NORML and the registered agent for my state’s Chapter, NC NORML, and an active member of both the National Cannabis Industry Association and the National Cannabis Bar Association, this letter is written in my personal capacity as a citizen of the United States (US), an advocate for reform, and attorney to the cannabis industry. It is not written for or on behalf of any particular organization. i. Ninety five percent (95%) of the population lives in a state where there is some form of legal cannabis in one or more of three categories: adult use (sometimes referred to as “recreational” use), medical use, and hemp extract containing CBD. ii. Ninety three percent (93%) of Members of Congress represent constituents in markets where some form of cannabis is legal (412 members of the House of Representatives and 86 Senators). iii. A federal crackdown on the recreational and medical use market would jeopardize over $3.4 billion in projected revenue in 2018 and $8.6 billion by 2020. Despite the Acts’ unique approach, I did not write this letter to lobby specifically for them. Nor did I write this letter to address every issue raised by marijuana reform. The point of my letter is to respond to the particular issues addressed by Mr. Tillis in his email, which strikes me as having been written by someone who is uninformed about marijuana. It also occurs to me that some members of the Committee may be under similar misapprehensions as Mr. Tillis. I understand that not everyone spends his or her days in the cannabis world, as my clients and I do. Members of Congress cannot be expected to know all of the facts about every subject, particularly one in which they are obviously disinterested. However, since the issue of marijuana reform has reached a critical mass it seems only fair and reasonable that our elected members of Congress should, at a minimum, have a basic understanding of the present state of marijuana in our country. A lot of water has flowed under the proverbial bridge regarding marijuana over the past decade, including significant advances in our understanding of how marijuana impacts humans in all spheres of life, including, but not limited to, medicine, science, technology, farming, and business. The rest of this letter will address the specific points made by Mr. Tillis in his email. His comments are numbered and in italics. My responses follow. 1. “Proposals to legalize marijuana should not be taken lightly.” I agree. Frankly, I cannot think of any act of Congress that should be taken lightly. However, Congress has failed to take on any substantive proposal at all, despite the demand for it by a majority of US citizens. The extent of Congressional action in the area of marijuana reform has been to enact several consecutive omnibus spending provisions restricting federal funds from being used to interfere with state-lawful medical marijuana programs. These restrictions, collectively known as the Rohrabacher–Farr Amendments (Amendments), are an abdication of Congressional authority. 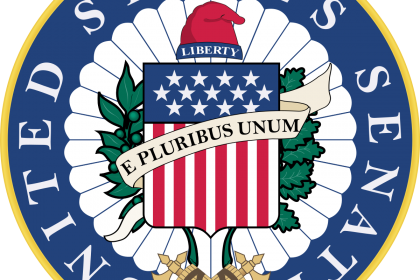 By restricting funds, rather than reforming the law, Congress has created an untenable and unfair situation in which otherwise law abiding citizens who operate legitimate businesses exist under a Sword of Damocles scenario in which the flimsy protections of the Amendments can be withdrawn with the mere passage of the next budget. It is also unfair to law enforcement agents, who swear to uphold the nation’s laws but instead are tethered to the Congressional purse and operate in a legal grey area instead of having a clear mandate that marijuana (in this case, medical marijuana) is lawful. In fact, and to the point about taking marijuana reform lightly, marijuana is easily one of the most studied plants in the world. It has been used safely by humans for thousands of years. It is also the single most commonly used illegal substance in the US. It was lawful from our country’s inception until 1937. Prior to enactment of the 1937 Marihuana4 Tax Act, which was eventually struck down by the US Supreme Court as unconstitutional, marijuana was lawful and sold over the counter. Its use was widespread and it is almost certain that our Founding Fathers used it. 2. “I understand that many individuals believe marijuana use is benign. The fact remains, however, that marijuana use can result in adverse health consequences, particularly among adolescents.” This assertion about marijuana is simply not supported by the facts. As to the general assertion that marijuana use can result in adverse health consequences, that statement is almost completely false. First of all, and despite its use by humans for thousands of years, there has never been a single documented case of anyone dying from marijuana use. Significantly more people die from things we all generally accept as “benign”, such as aspirin and acetaminophen, excess salt intake, and even overconsumption of water, than from marijuana use. Second, rather than causing adverse health consequences, marijuana has been shown in numerous peer reviewed studies to be effective in treating such diverse health issues as seizure disorders, wasting disease, post-traumatic stress disorder, Crohn’s disease, tremors associated with Parkinson’s disease, anxiety, extreme nausea, inflammation, plaque buildup leading to Alzheimer’s disease, pain, treatment of addiction for opioid dependence, and even reduction of cancerous tumors. In fact, marijuana is one of the only known plants to produce phyto-cannabinoids. These are plant based analogues to the endo-cannabinoids naturally produced by our bodies to interact with the endo-cannabinoid system that we share with all mammals and which functions to maintain homeostasis in our bodies. It is an oversimplification but not an overstatement to compare cannabinoids to vitamins, crucial compounds that our bodies need but do not always produce in sufficient quantities and must therefore be supplemented by ingesting them from outside sources. One of the most abundant cannabinoids found in the marijuana plant is CBD. A preliminary report by the World Health Organization, released Fall of 2017, found that CBD is non-toxic, non-addictive, non-psychoactive, and has immense potential for medical use. Importantly, the US government holds a patent on the medical utility of marijuana. Third, with respect to adults, one must strain to come up with any adverse consequences at all. In fact, aside from legal jeopardy based on marijuana’s federally illegal status, the only so-called adverse consequence is that marijuana ingestion can make one feel “high” due to the presence of the cannabinoid tetrahydrocannabinol (THC). Many people, including myself, believe that the subjective experience of feeling high can be beneficial under certain circumstances. However, even if this was not the case and there was consensus that “being high” was an unqualified negative aspect of marijuana, this is not on its own a sufficient basis to ban it. People in the US lawfully and safely alter their conscious states every day by using any number of substances and techniques, from alcohol to nicotine to caffeine to sugar to more potent substances like the plants Salvia divinorum and Piper methysticum (kava). People practice meditation, exercise to achieve a “runner’s high”, and participate in various artistic, athletic, and religious activities to experience “flow”, a state not dissimilar to marijuana intoxication. In fact, the most current research indicates that the “runner’s high” is produced by endo-cannabinoids, not endorphins. Someone experiencing a runner’s high is in the same, or similar, state as one who has ingested marijuana. In short, the fact that marijuana can cause one to experience a purposefully induced high is not a sufficient basis to proscribe it. In fact, most people would argue that being high is a beneficial state under appropriate circumstances. However, even reasonable people who do not take this position would not seriously promote making alcohol, caffeine, and sugar (not to mention exercise) federally illegal, despite the fact that they also make their users high. Fourth, with respect to adverse consequences for adolescents, it is true that excessive marijuana use may be detrimental to growing brains. Studies have even shown that excessive marijuana use in adolescence is associated with a slightly increased risk of certain mental health disorders. This is an important consideration. Presently, marijuana’s impact on adolescents is almost impossible to study due to its schedule 1 classification under the Controlled Substances Act. Yet, adolescents across the country use marijuana and have used it for as long as we have kept records of it. There is no reasonable method for stopping it. A better policy than a “War” on marijuana is a policy that makes it easier to study. In this way, we can develop a better and deeper understanding of the long term implications for adolescent use by the techniques of thorough and rigorous scientific inquiry, rather than speculation based on incomplete studies. Moreover, and perhaps most importantly, teen use of marijuana in states where marijuana has been legalized has actually gone down, not up. 3. “It goes without saying that a product which has adverse psychological and physiological impacts on its user can ultimately harm third parties.” As I stated above, and which has been borne out in hundreds of peer reviewed studies (many from outside the US due to current federal restrictions), the claim that marijuana has “adverse psychological and physiological impacts on its user” is without merit. Certainly, marijuana’s adverse affects, if any, are nominal compared with any number of federally lawful substances. That being said, I acknowledge that a marijuana user who drives a vehicle, operates machinery, or participates in certain other activities while under the subjective experience of feeling high likely has an elevated risk of harming third parties. The most notable situation is driving while stoned. Driving while intoxicated on alcohol is a serious problem in the US, but it is one that we acknowledge and manage. Millions of Americans drive while on psychoactive prescription medications. This is also a problem, but one that we acknowledge and manage. In fact, driving while stoned occurs today while marijuana is federally illegal. There is nothing inherent in its status under the law, whether legal or illegal, that makes it more or less likely to be a killer on the roads. Notably, states that have legalized marijuana have generally not shown a marked increase in vehicle accidents and deaths based on marijuana use. In fact, the Washington Post reported in June, 2017 that two detailed reports came to opposite conclusions about whether traffic fatalities associated with marijuana increased in states that legalized it. A study by the Insurance Institute for Highway Safety found that collision claim frequencies in the states with legalized marijuana were about 3 percent higher than would have been anticipated without legalization. The study characterized this as small but significant. Another similar study, published by the American Journal of Public Health, found no increase in vehicle fatalities associated with marijuana use in states that legalized it. At most, there is conflicting information about whether marijuana legalization is associated with increased traffic fatalities. 4. “[I]t is crucial that we continue to educate ourselves on all the short-term and long-term consequences of marijuana use before we consider unrestricted legalization of the drug.” First of all, the fact of marijuana being a schedule 1 drug under the CSA is the single biggest impediment to studying the short-term and long-term consequences of its use. Fortunately though, other countries such as Israel have been studying marijuana for decades. We have substantially more information from legitimate studies about marijuana than almost any other “drug” known to man. Second, I am unaware of any proposals for “unrestricted access”. The proposals that prompted me to write Mr. Tillis and my other Representatives would simply leave the issue up to the individual states to determine what access to authorize. Certainly, some people espouse the view that we should totally deregulate marijuana and “treat it like tomatoes”. As much as that would please many advocates for reform, few people seriously consider that to be a viable option. Most people view marijuana reform as part of a regulated system, whether through a state medical program or based on some other regime such as the ones currently governing sales and use of alcohol and tobacco by adults. 5. “It is my goal to pursue policies that protect our nation’s youth from the dangerous consequences of illegal drug use and help produce productive and responsible members of society.” Using the fact that marijuana is illegal as a rationale for maintaining its illegal status is an indefensible circular argument. Claiming that its current illegal status is a reason for maintaining its illegal status is not a coherent position. I have already discussed the so-called “dangerous circumstances”, such as they are, of using marijuana. The fact that it is illegal actually makes it more dangerous, not less. This is due to the elevated risk of violent crime associated with trading in illegal products, not to mention the risk of losing one’s liberty if one is caught using marijuana by federal law enforcement. Easily, the single most dangerous thing about marijuana is the fact that it is illegal. This is especially true for minority users, who are arrested for marijuana crimes at four times the rate of their white counterparts, despite similar usage rates. Second, regarding productivity and responsibility, marijuana users consistently rank above average in tests and polls regarding these traits. For example, a recent survey, published in June 2017, found that the average grade point average (GPA) of daily marijuana users in college was 3.2, higher than the overall national average of 3.1. Over seventy five percent (75%) of students classified as daily or near daily users reported feeling more productive under the influence of marijuana. A list of high profile adults who openly admit to marijuana use reads like a “who’s who” of every sector of professional life, from industry to science to medicine to education to the arts. The idea that marijuana users are, as a group, less motivated than the general population is a thoroughly debunked notion. In fact, reliable evidence shows that the opposite is true. Mr. Tillis, I appreciate that you responded to me. However, your understanding of marijuana, as evidenced by your letter, is almost wholly misinformed. I am concerned that others on the Committee may share some of your beliefs. My goal is not to “out you” or other members of the Committee in your ignorance of this issue. Rather, it is to educate and, more importantly, address obvious misperceptions about marijuana held by you and by other national leaders. Marijuana legalization will occur. In fact, as I discussed above, it is occurring now, with or without Congressional action. Unfortunately, the tension created by marijuana’s status as federally illegal, yet lawful under the laws of a majority of the states, is stretching the fabric of our federal system to the point that a remedy is desperately needed. Whether you presently recognize it or not, marijuana is a societal issue that will, in historical terms, ultimately be viewed as one in which you were either “right” or “wrong”, depending on whether you supported it or not. Marijuana reform is an issue that is intimately connected to a number of “big” issues that we currently face: racial disparity and systematic injustice experienced by millions due to a flawed “War” on a plant, medical care, infrastructure, and individual rights, to name a few. Marijuana reform is an issue that is greater than the sum of its parts. I am not overstating it when I assert that marijuana reform is one of the great issues of a generation. I hope that you will soon come to realize its importance and take action to support immediate and comprehensive reform. Thank you for your consideration. I would be happy to speak with you and the Committee about these matters. Please do not hesitate to contact me if you have any questions. 4“Marihuana” is the antiquated spelling of marijuana. Yes, I agree! Thanks for reading and posting. When is it looking like NC will get a marijuana law? Great question. A lot depends on the results in the mid-term elections this year. As you’re probably aware, NC is in the process of re-drawing its district lines due to massive un-Constitutional gerrymandering. The State is roughly divided 50/50 Democrats and Republicans; however, due to gerrymandering the Republicans hold a veto-proof supermajority in the NC legislature. (NC does not have a direct citizen referendum like many of the western states that have enacted cannabis reform so reform will only come through the legislature.) Not all Republicans are opponents of marijuana reform. In fact, at the national level there is growing bi-partisan support for reform. However, in NC the Republican party is still mostly anti-reform. This is not to say that if Democrats take over the NC legislature that we’ll see immediate reform; however, if Republicans remain in control it will likely take much longer. Very well said. We Support this in North Carolina! That’s the exact same letter word for word I was e-mailed by Tillis. It was almost like a smack in the face after reading it. I don’t like his condescending tone either. Thanks for reaching out, Derek. Yes, I agree that the tone is condescending. Politicians are going to learn to address these issues seriously and in line with what their constituents want or they’ll be voted out of office. Well said!! Awesome!! Thank You!! here having a “crisis” with, but it can also help with the the transfer and withdrawal symptoms. TO ALOT OF PILLS, not just what i want to use it for, pain management. Kyle- Thanks for sharing. I agree! It’s stories like yours that motivate me.